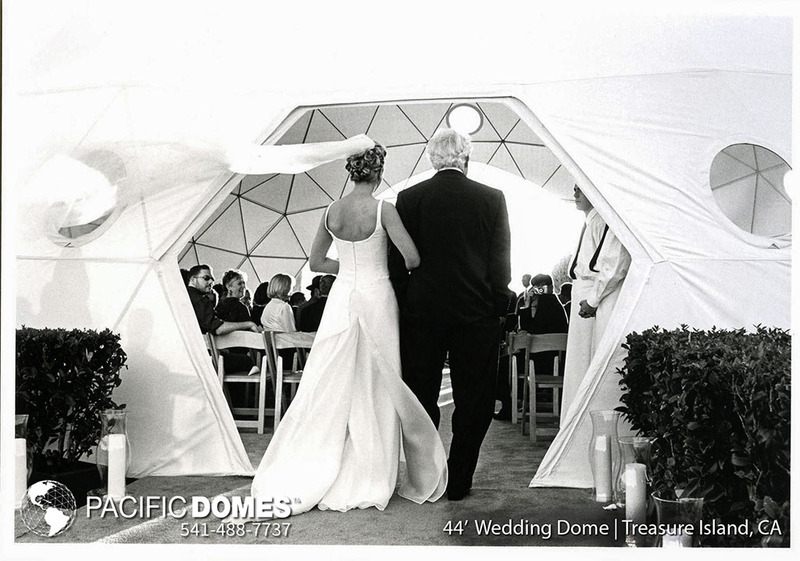 Celebrate in Style: Take your celebration to the next level with a Pacific Domes Wedding Dome or Party Dome. 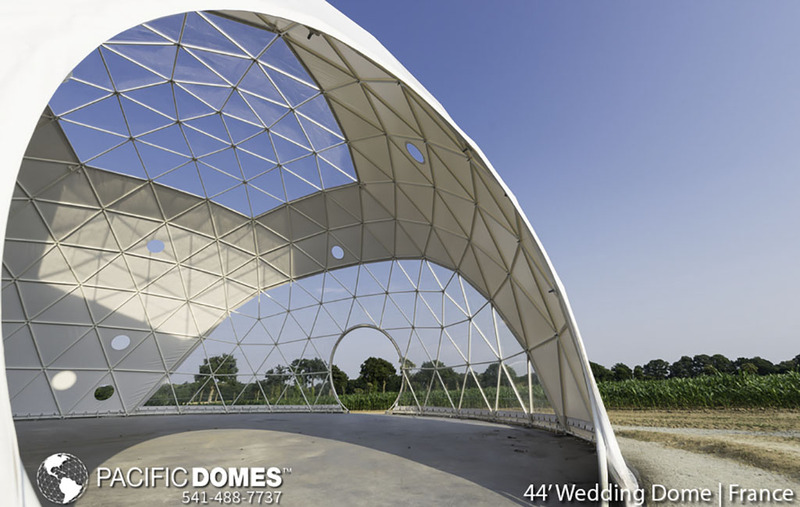 The open expansive geometry creates an exalting cathedral for weddings, and a unique environment for parties. 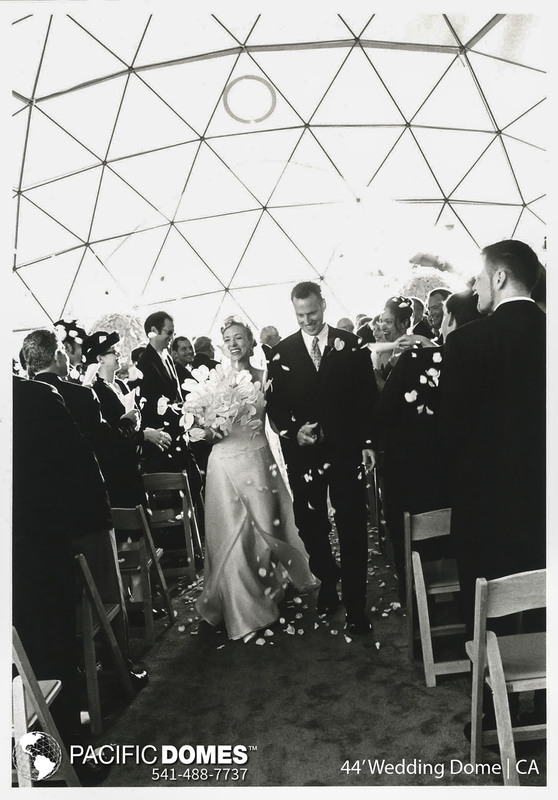 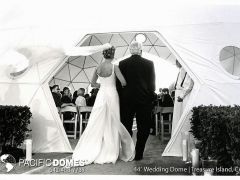 Our domes create a simple yet elegant way to celebrate your union. 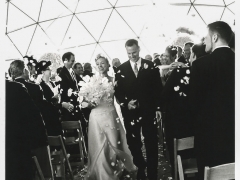 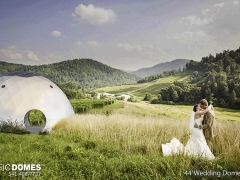 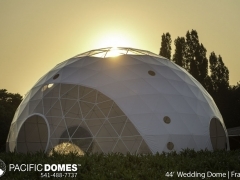 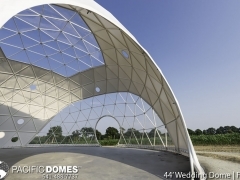 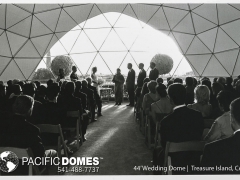 Our geodesic domes can be used for wedding ceremonies, receptions and banquets. 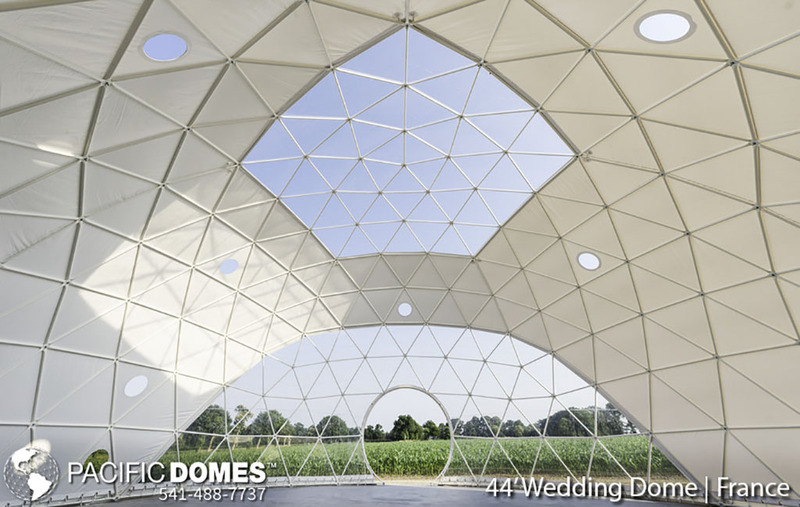 Custom, one of a kind Wedding Tents and Wedding Dome Shelters for that one of kind, once in a lifetime moment. 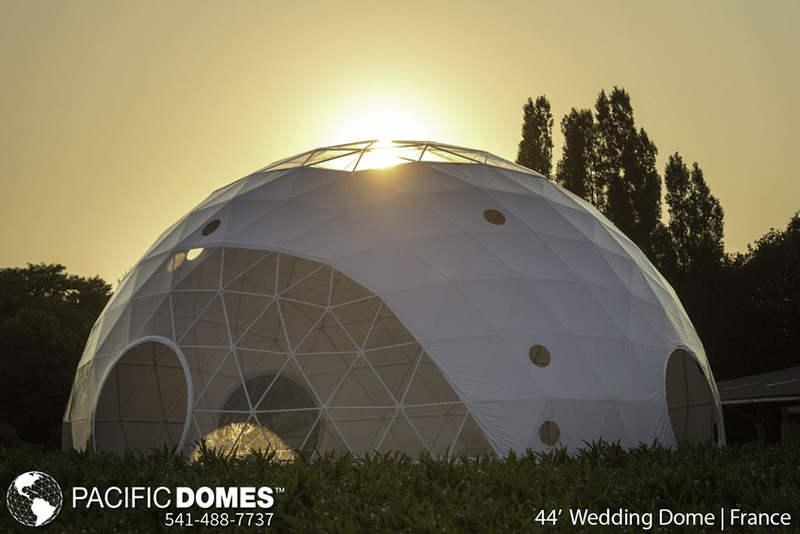 Pacific Domes of Oregon, leading manufacturer of Festival Tents and Wedding Dome Tents for over 36 years. 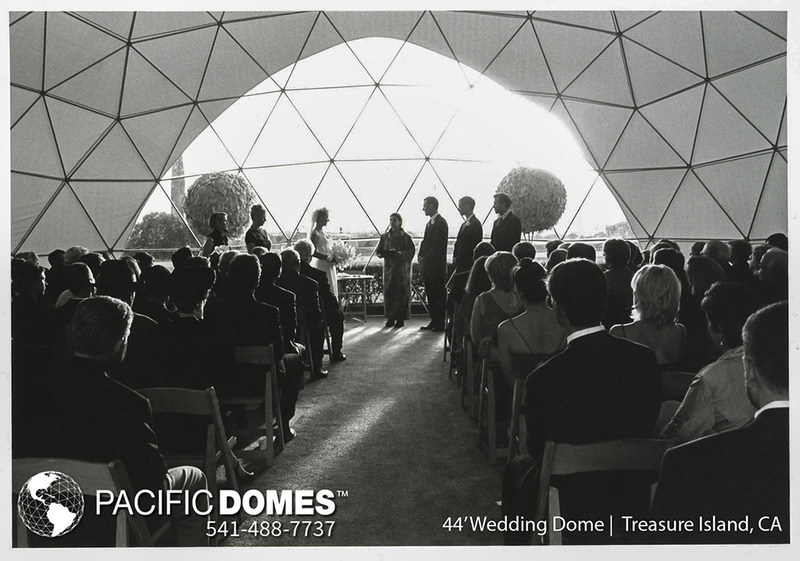 Trust in the leader to provide an unforgettable event under a Geodesic Dome! 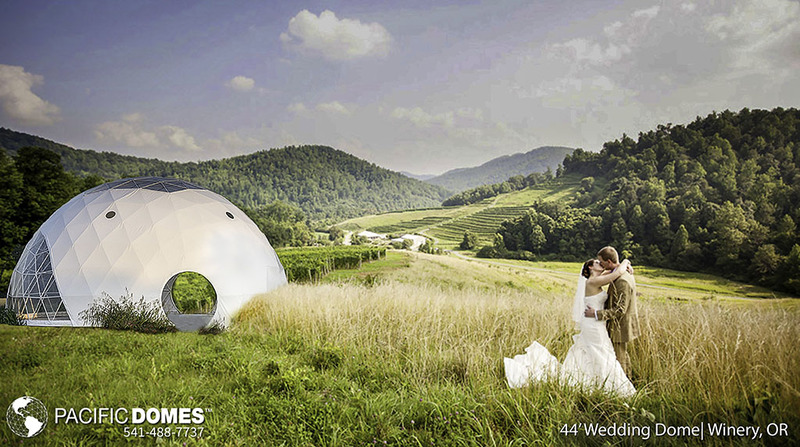 One of life’s big moments has arrived. 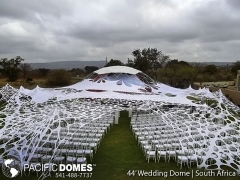 After months of anticipation and planning all the guests are seated and the destined couple is standing together about to be united in holy matrimony.